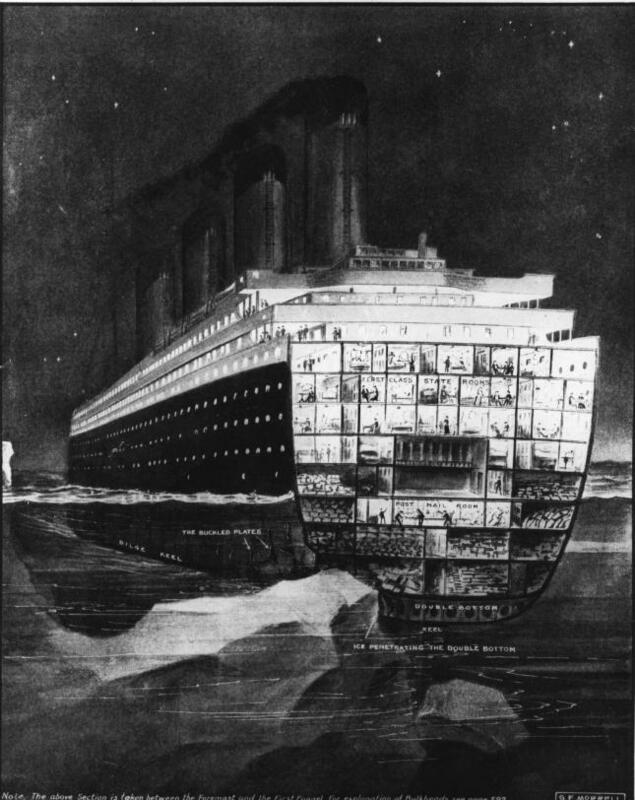 This is my favorite: a graphic on the division of the decks and departments, where the iceberg hit and the damage produced. 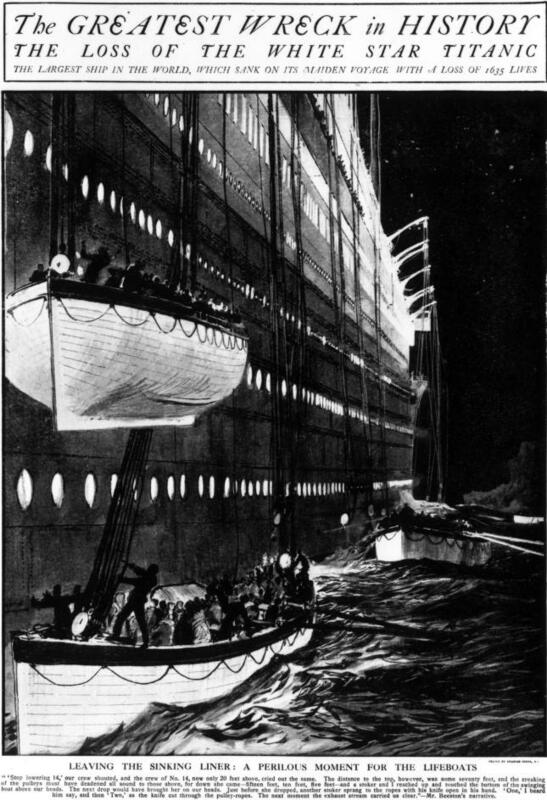 Boats arriving to the Carpathia. 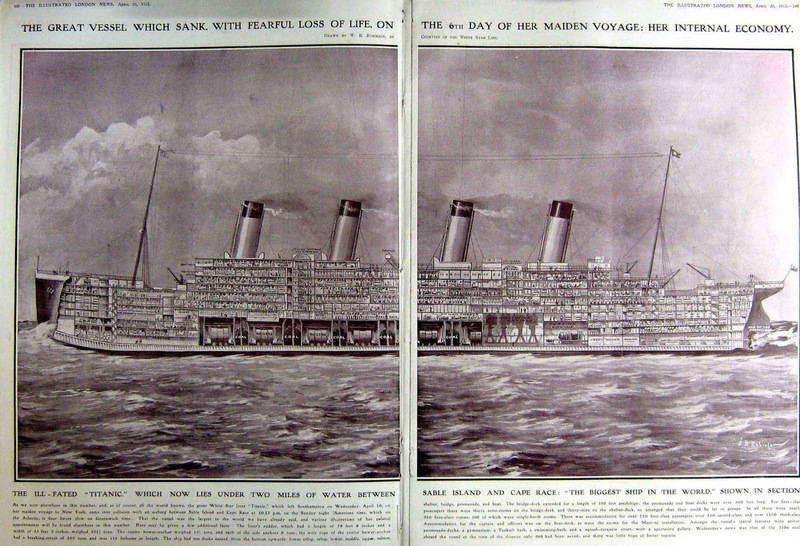 A graphic explaining the travel times to cross the Atlantic: ancient times, old ships, the Titanic and planes. 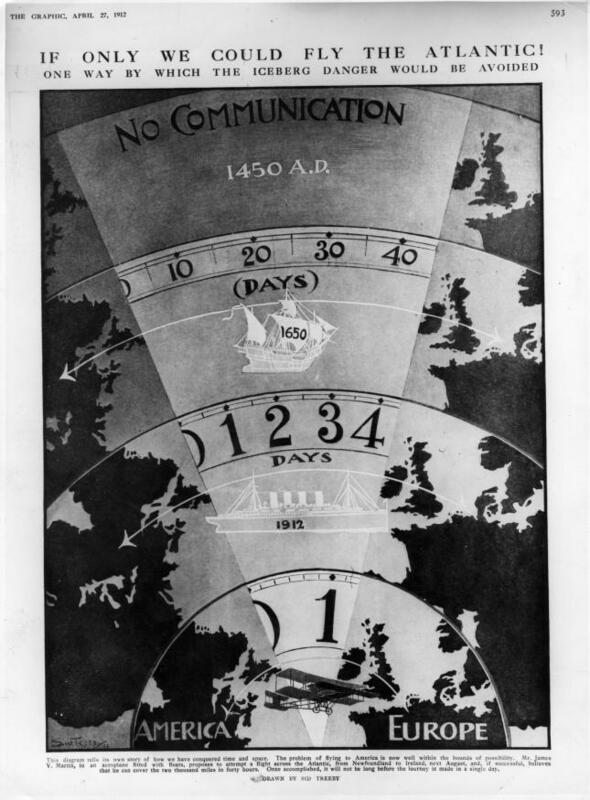 This style would be considered today a 'modern visualization' by some people. 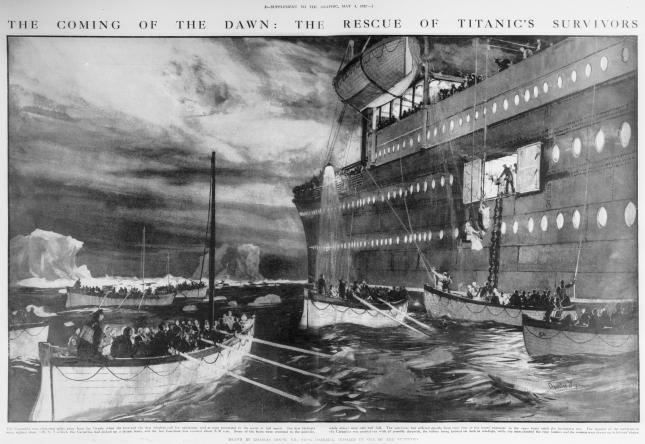 But The Graphic was not the only one to cover the sinking of the Titanic with illustrations. 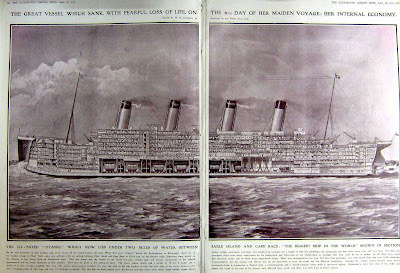 Another grat coverage was the one by Illustrated London News. 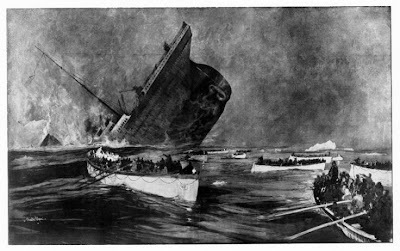 The Titanic sinking. The front side sunk first, the rear floated for some minutes as a cork, and then sunk too. This illustration depicts that very moment. A great cut of the Titanic. 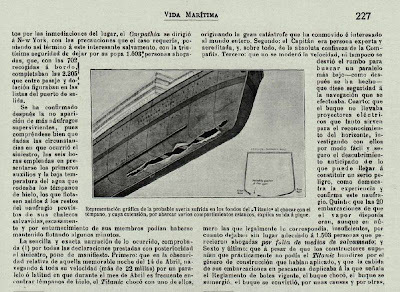 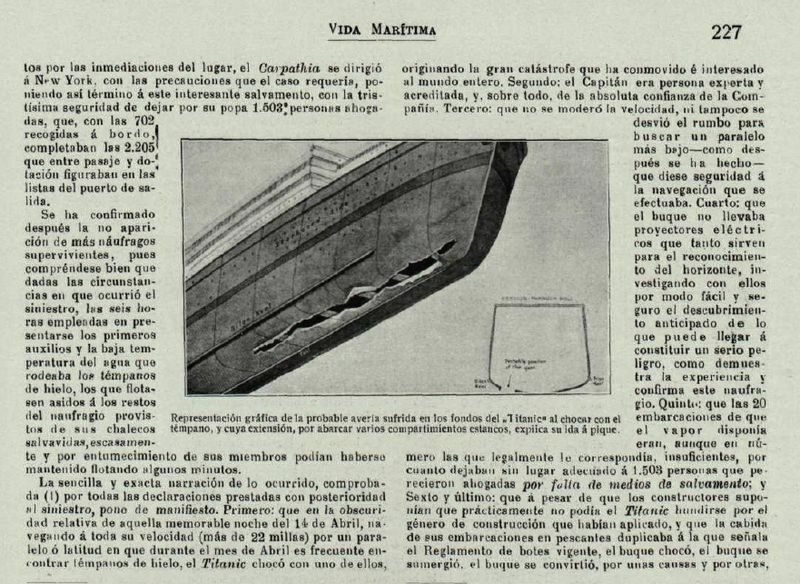 And an example form the spanish magazine Vída Marítima (Sea Life) published on May 30th 1912 as found by 233grados.com.